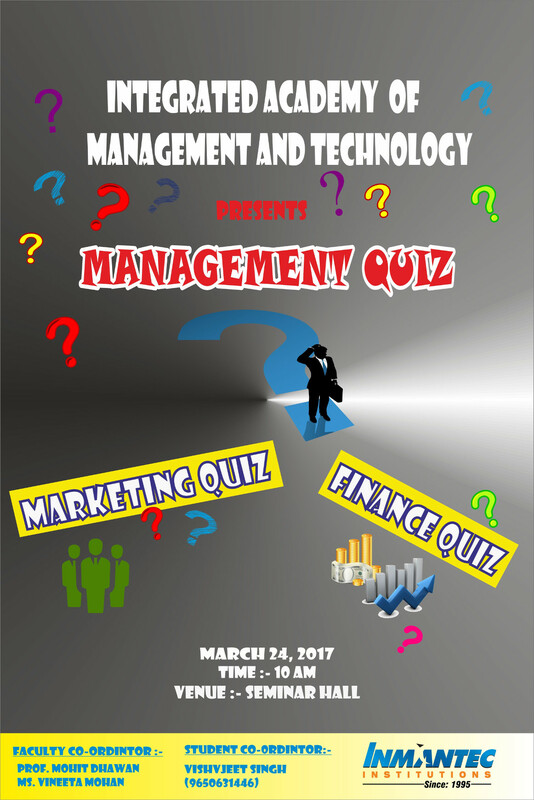 Management Department (M.B.A) is organizing finance and marketing quiz followed with panel discussion. The main objective of Quiz is learning by fun. The activity will assist the students to showcase their marketing and financial knowledge. The event will also provide an opportunity of developing and the expression of thoughts through panel discussion.